Life Extension Mix helps to provide the body with a large variety of fruit and vegetable extracts, all shown to promote good health. Life Extension Mix offers more potency than the “off the shelf” brands, offering more health benefits than ever before! Purchasing this product today earns you 54 DR Reward Points! Life Extension Mix helps to provide the body with a large variety of fruit and vegetable extracts, all shown to promote good health and Nicotinamide Riboside for energy and brain health. Life Extension Mix offers more potency than the “off the shelf” brands, offering more health benefits than ever before! Rounding out the superiority of Life Extension Mix™ is its extensive list of water- and fat-soluble vitamins, minerals, amino acids. Life Extension Mix provides enzymatically-active forms of B vitamins like pyridoxal-5-phosphate that provide immediate antiglycation benefits. This formula is the only multivitamin to contain 5-methyltetrahydrofolate (5-MTHF), the active form of folate that is more bioavailable than folic acid.4 This greater bioavailability is especially important in people who have a genetic deficiency since it requires no conversion to become metabolically active. Scientists have identified multiple mechanisms by which green tea extract helps protect against LDL oxidation, neuronal degradation, and a host of other structural and functional age-related changes. Life Extension Mix™ provides more green tea extract than found in commercial formulations. 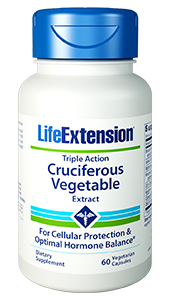 Life Extension Mix is powerful, and contains fruit and vegetable extracts that have been well documented to support good health. With generous amounts of ingredients like broccoli, zinc, green tea, and many more, this mixed supplement may be able to provide dramatic health benefits. The following explains some of the many health benefits that Life Extension Mix may provide. Broccoli helps to protect DNA by providing D-Glucarate, which helps to remove DNA toxins. Lycopene is found in tomatoes, and gives them their red color. 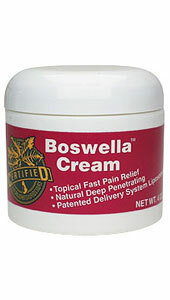 Lycopene has been shown to support a healthy prostate, and may promote healthy blood lipid levels. 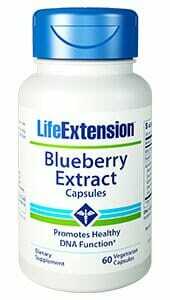 Wild blueberry extract provides a compound that helps to support the retina, providing for improved night vision. Zinc has been shown to support bone density and healthy prostate function. Magnesium helps to protect arteries and heart valves, and also supports heart and brain cells. 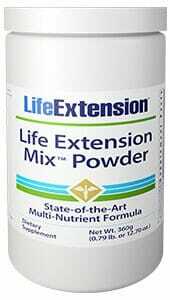 Life Extension Mix provides six forms of magnesium to maximize its life-saving power. Folate (as L-5-methyltetrahydrofolate calcium salt). CherryPure® is a registered trademark of Shoreline Fruit, LLC. Delphinol® is a registered trademark of MAQUI NEW LIFE S.A., Chile. BioVin® is a registered trademark of Cyvex Nutrition dba Bioriginal. Lycored LycopeneTM is a registered trademark of Lycored; Orange, New Jersey. pTeroPure® is a registered trademark of ChromaDex, Inc. Patents see: www.ChromaDexPatents.com. Take three (3) scoops per day in divided doses with meals, or as recommended by a healthcare practitioner. Powder may not completely dissolve. 2. Mutant Res. 1999 Jul 16;428(1-2):329-38. 3. J Am Diet Assoc. 1996 Oct;96(10):1027-39. 4. Available at: https://chromadex.com/wpresources/Upload/ Article/Literature/Ingredient/ IngredientSaleSheets_NIAGEN_V0114b_pw.pdf. Accessed July 15, 2014.